Aliport Commercial were first contacted in June 2014 about this project. 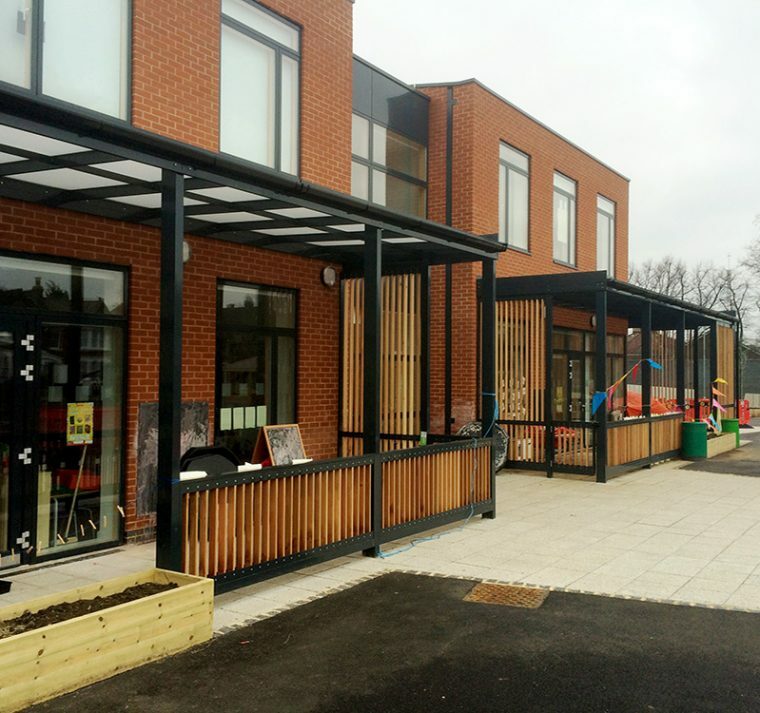 Rushey Green Primary was undergoing refurbishment works and required new canopies to be installed. Existing canopies were already in place at the school and Rushey Green’s architect requested that these canopies be identical to existing canopies. The company that originally installed the canopies had ceased training. Aliport Commercial undertook two site visits to fully understand the project, measure up and produce the designs for the new canopy and extra’s to be installed. The site was a large construction site so careful consideration had to be given to site safety and working with other contractors. In order to match the canopies to existing it involved careful measurements and planning to ensure that the canopies met Rushey Greens requirements. Aliport Commercial commenced works in September 2014 and over a 5 week duration installed the canopies with slatted side screens and gates. 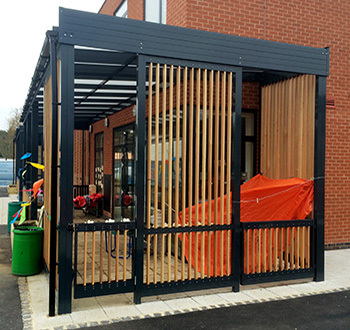 The canopies were colour matched to existing canopies and the slats were installed in Cedar Wood matching the existing slats. The match and finish provides a stunning finish across the site. Mono Canopies are made to fit any location and can be tailored and altered to meet any requirements. . .